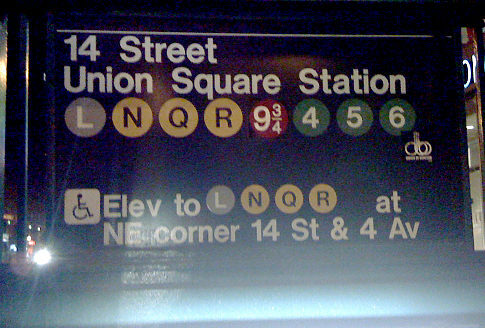 you are here: Home » News » Harry Potter Fans Prank NYC Subway Sign? Harry Potter Fans Prank NYC Subway Sign? A mysterious new symbol has appeared on the Union Square Subway station sign in New York City—a red circle that reads 9 ¾ (picture above from the New York Daily News). So apparently the Hogwarts Express has added New York to its normal route between London and Hogsmeade Station? You might assume it’s part of the marketing campaign for Harry Potter and the Deathly Hallows Part 1, but an MTA spokesman says that he’s not aware of a Potter campaign. 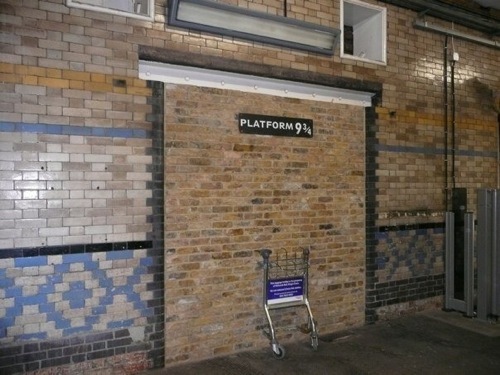 So it’s most likely the work of a clever Harry Potter fan.